Posted on 17th July 2018 at 2:05 pm. Buyer journeys with e-commerce businesses have been evolving rapidly. To keep up, businesses need to think innovatively. The regular buyer has become used to free shipping for over a certain amount spent from major e-commerce sites, being able to track their parcels from order to despatch, to delivery and often with same-week turnarounds. This is all well and good for the giants in the industry, but it has set some tall expectations in terms of tracking, delivery prices and swiftness for small businesses or SMEs. 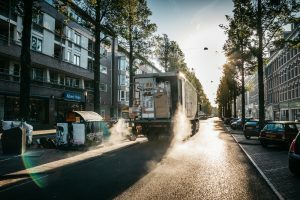 Tracking your deliveries is no longer a feature only available to larger trades, it is now easier for smaller businesses to also jump on the bandwagon. By living up to shopper expectations, smaller businesses can create a remarkable customer experience that converts shoppers into loyal, lifetime customers. Therefore, here at Mango Logistics, we recognise that retailers should continually improve their shipping approach and modernise their fulfilment and delivery methods. 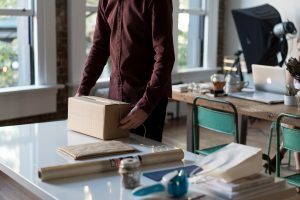 Typically, new businesses start by using the most familiar delivery vendors. Giants in the industry, like Hermes, UPS and FedEx feel established, and when starting out, although more expensive, it feels like the better option. As a small business, the volume of your sales may not be high enough to warrant the costs that come with these big name companies. Nevertheless, as your business expands, you will need to choose a cost-effective delivery method, and this might mean, arranging a multi-vendor delivery arrangement to ensure quicker deliveries at a rational price. Mango Logistics have been approached by such companies looking for cost-effective delivery services that can be tracked always. Technology has made it much easier for e-commerce companies to manage the whole delivery process. Businesses, big and small can monitor and track deliveries at every stage of the journey that allows businesses to keep customers informed. But the amplified awareness of deliveries isn’t only beneficial for the customer. 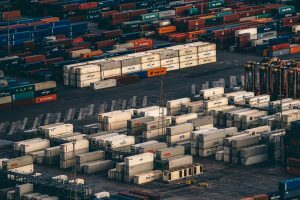 It also safeguards the company and it ensures it isn’t held liable for delays, mistakes or damage that occurs once a product has been shipped. Ultimately, it is the customer’s expectations that should be at the centre of every delivery decision you make. A logistics company that saves you money in the short term but isolates your customer with poor service will eventually cost your e-commerce business customers, and money, in the long term. By tracking deliveries, a business is essentially providing peace of mind to the customer. You’re also reducing pricey calls from customers questioning the status of their order, so your sales staff are left to deal with other more pressing queries. Being able to answer delivery status questions effectively and truthfully. This will be good for brand awareness and brand perception – This is because it will make your business appear trustworthy and reliable. Tracking deliveries will help your e-commerce business meet customer expectations. It means that you are current, innovative and have your pulse to the latest technology. With this in mind, it will encourage your customers to return to your website for future purchases. Customers like to feel like they are in control of their purchase. They are trusting your brand with sensitive information and this is why tracking packages provide vital capacity in providing tracking details for customers to use themselves; as they want to know precisely where their purchases are and explain any unexpected delays. Tracking deliveries needn’t be a difficult process. If you are feeling overwhelmed at the thought of inserting coding to track deliveries or logistics on how to do this, then you don’t have to do it all yourself. Choose a reliable company, such as Mango Logistics; we track our deliveries and this is the reason why so many e-commerce businesses trust us to deliver their items in a timely and efficient manner. Why not contact us to discuss your e-commerce delivery strategy today? Alternatively, read our article on how a student can manage their storage with little space.